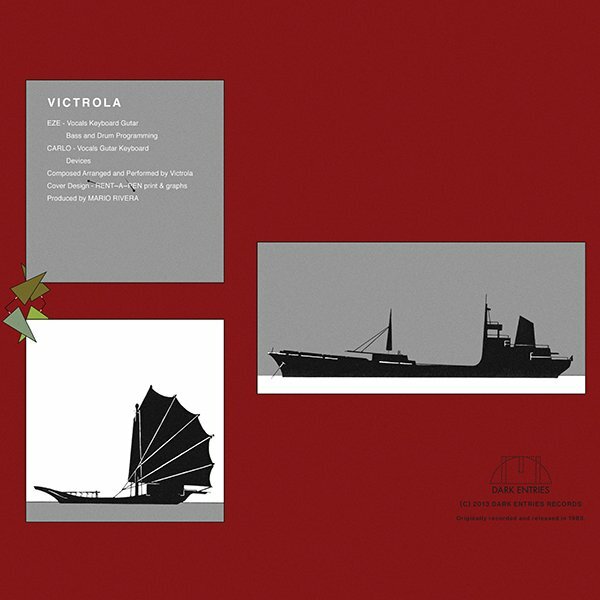 Victrola - Maritime Tatami 12"
For our 55th release we are launching a special series called Dark Entries Editions, dedicated to 12" singles made for the dance floor. 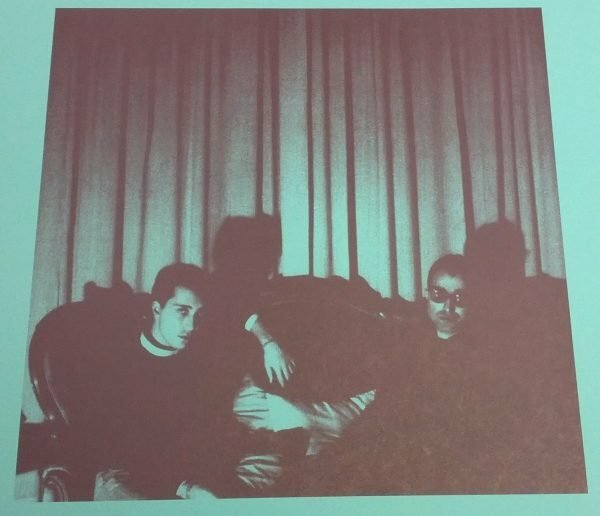 The first release in this series is Victrola, the duo of Antonio "Eze" Cuscinà and Carlo Smeriglio from Italy. The band formed in Messina, but later relocated to Florence to join the rich musical scene there with Neon, Pankow, Alexander Robotnick and Diaframma. Beginning as a 4-piece combo (two guitarists, bassist, drummer) in 1979, they slimmed down to a synthesizer and guitar-based duo a few years later. 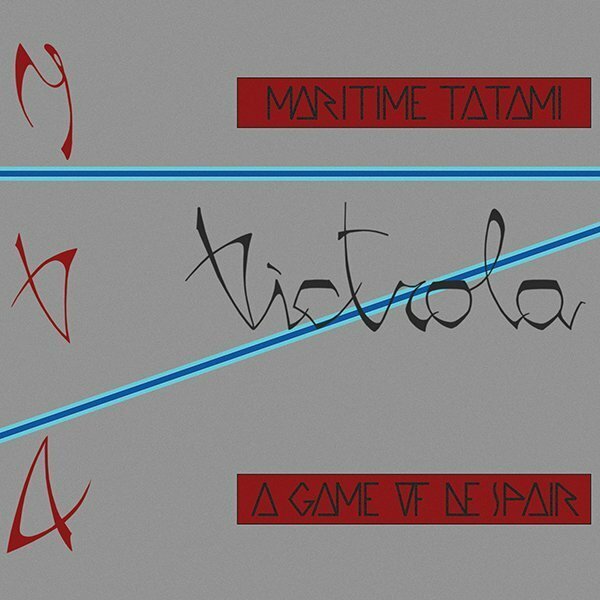 Their sole release was the "Maritime Tatami"/"A Game Of Despair" EP, from 1983. 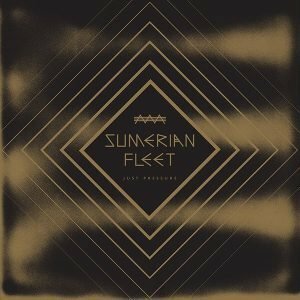 Using an array of now-classic Roland synthesizers (TR 606, TR 303 Bassline, Juno 6) plus a Korg Polysix and Fender Stratocaster, they crafted two darkwave ballads. "Maritime Tatami" engulfs the listener with trance-inducing synth lines and melancholic vocals over its epic 8 minutes. Oblique minor-key bass lines provide an anchor while snappy, brittle 606 rhythms propel the track along. The lyrics tell the story of Tatami, a boy from a fishing town who yearns for a new life in the big city. "A Game of Despair", on the flipside, is a haunting crawl through the eyes of a woman left by her lover. An angular guitar riff repeats hypnotically, as fragile icy synth lines chime emptily above it. Each song has been carefully remastered for vinyl by George Horn at Fantasy Studios in Berkeley. The vinyl comes housed in an exact replication of the original jacket, and includes an insert with lyrics and never-before-seen photos. Victrola's only release is a truly singular and timeless masterpiece—it’s from a dimension of its own.